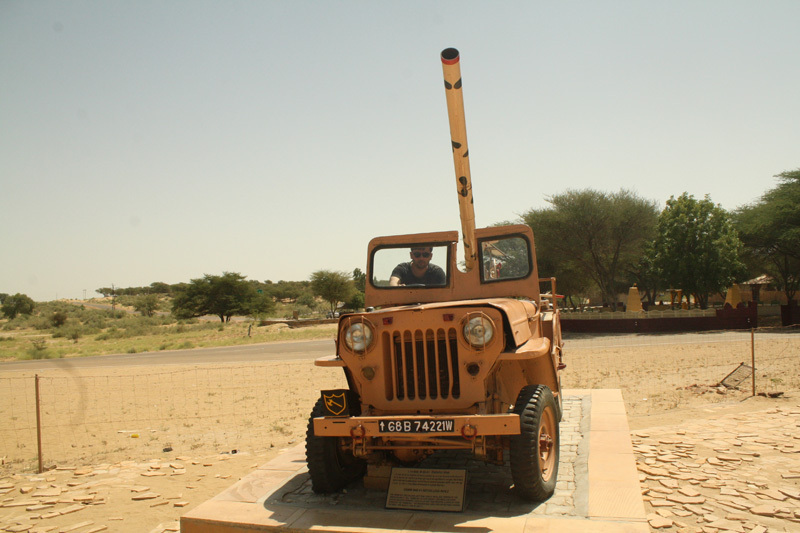 Longewala is a border town in the western part of the Jaisalmer district, Rajasthan, India. 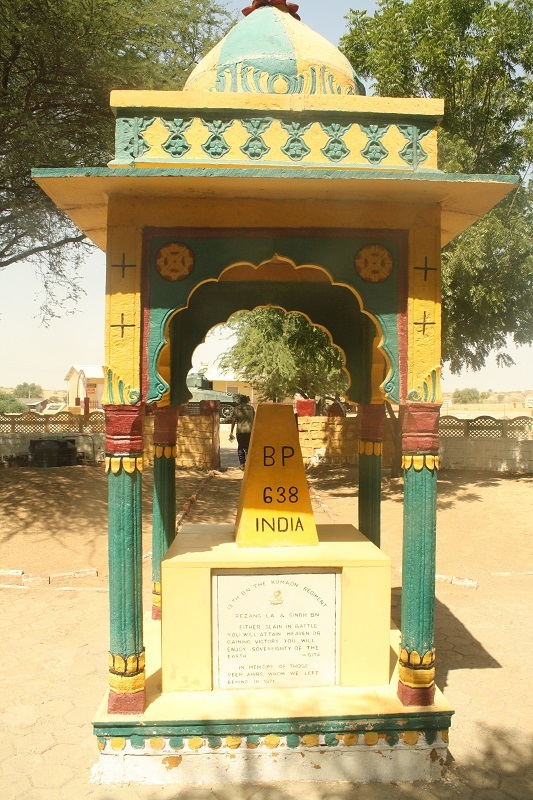 And the reason we choose to visit Longewala border post on the very first day of our Rajasthan trip is for its notable location in the Battle of Longewala during the Indo-Pakistani War of 1971. 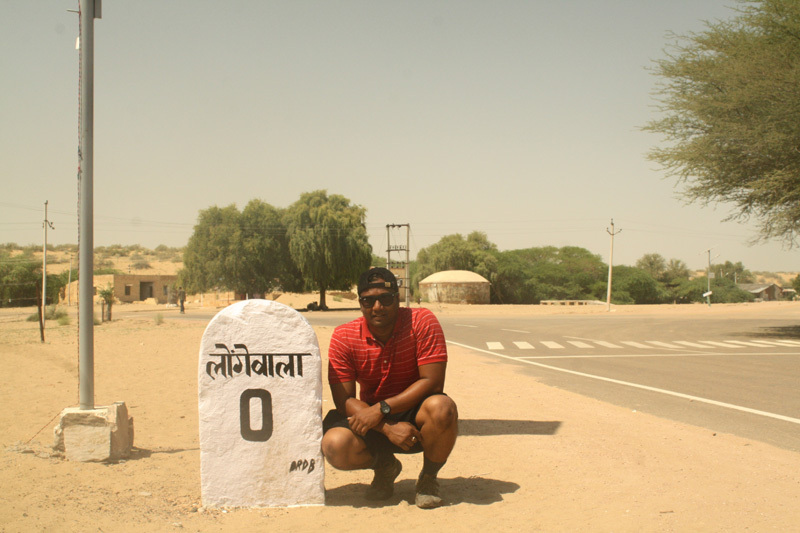 Our Journey started from the Jaisalmer Railway station early in the morning .We took the Ramgarh Road route .It took us around 2 hours to cover the distance of 124 km for reaching the border outpost of Longewala . We would have hardly gone few kilometers and our empty stomach went rumbling .So we made a small stop over for our Breakfast at Milan Restaurant on Gadisar Road .This place literally has the best Dal Makhani, oriental soup, and Chana Chaat I have ever had tasted .After our sumptuous breakfast we headed on . 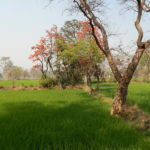 In another hour or so we reached the small town of Ramgarh .From there the whole geography of the place took a sudden change . 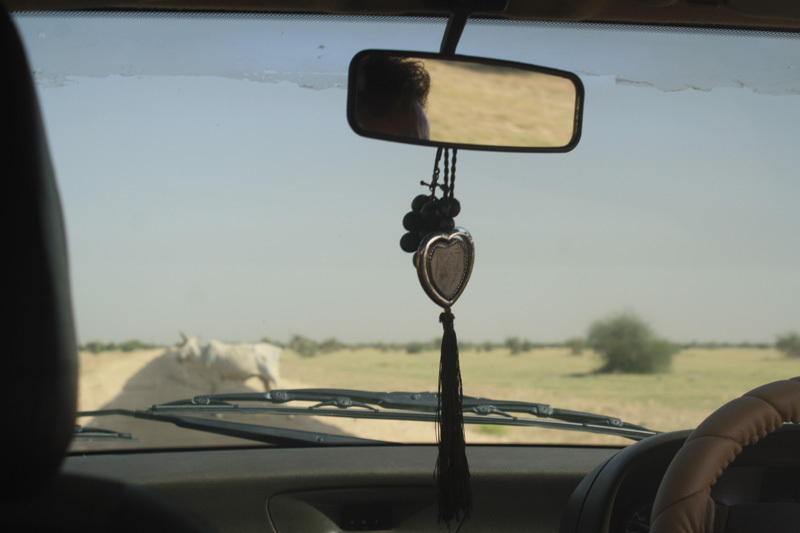 The trees gave way to the deserts .Few vegetation mainly wild grasses and shrubs could only be seen ,apart from few wild asses and some mud houses . Both sides of the road to Longewala were potted with rows of meticulously lined huge windmills which were the only other man made structures that could be seen. It was 11 O’clock on my wrist watch with temperature hovering outside at brazing 32 degrees we reached Longewala border post. 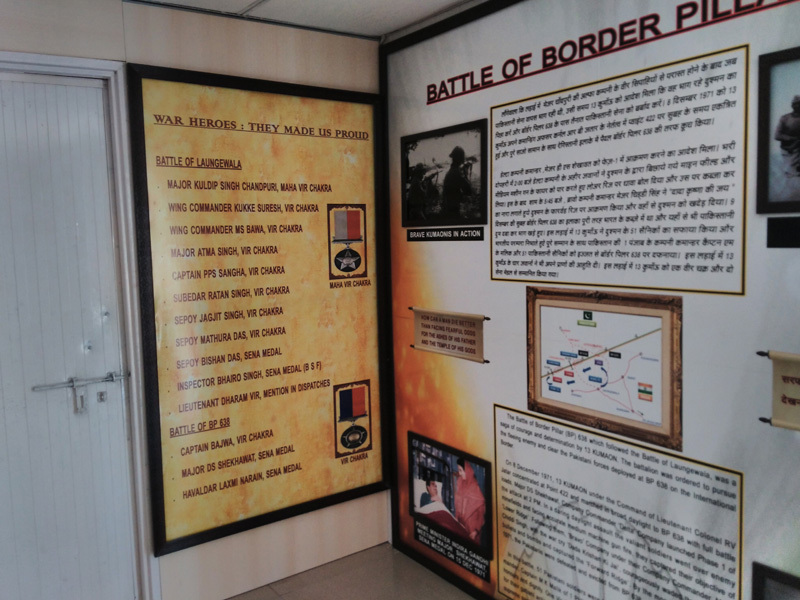 We parked our rented car at the visitor’s parking bay area and headed towards the Longewala Border War museum. 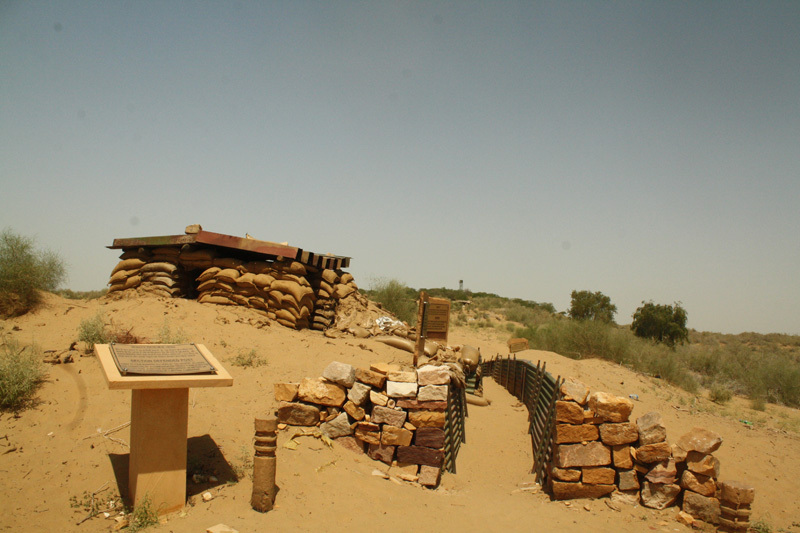 Longewala , is an important and strategic border post which is just 15 kms away from the International border , .No doubt why this place looked more like an fortified fort with heavy military presence than a small village outpost . Identity proof were checked at the Entry check post . 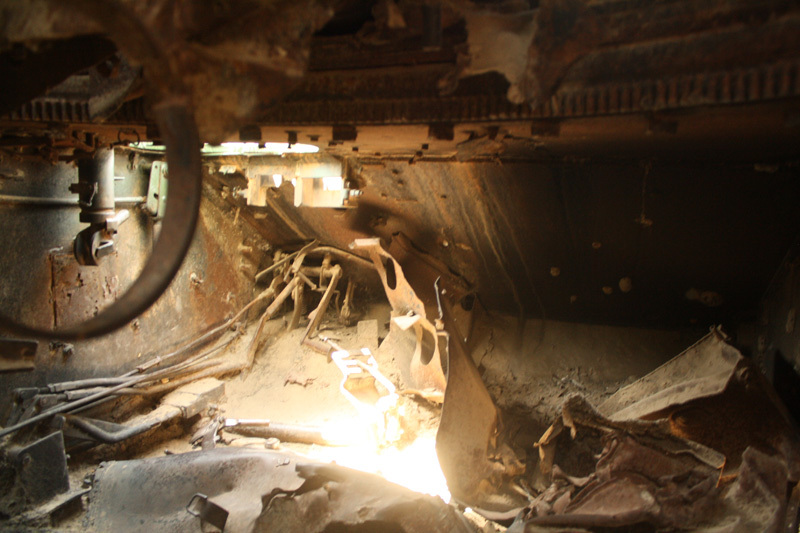 Through the Entry Point we walked cross the BP 638 pillar to reach the War memorial compound .The defeated Patton tank that was on display at the entrance to the ‘Longewala War Memorial’ was a welcoming sight . 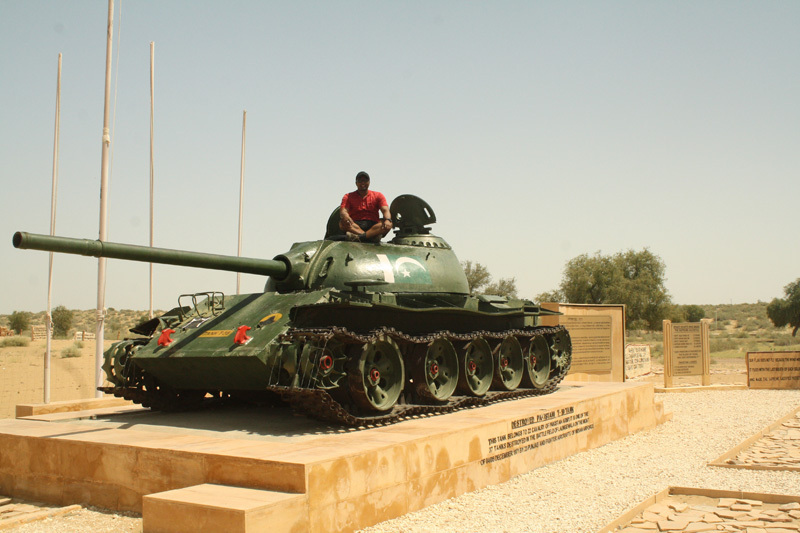 The Longewala war memorial commemorates the heroic battle fought there ,during 1971 Indo-Pak war . 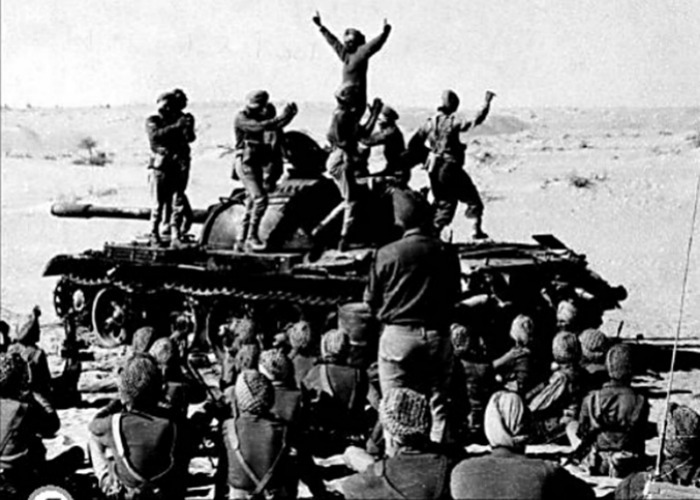 It is here a Company of 2000 Pakistan army personnel along with a tank brigade faced a humiliating defeat from a Indian detachment comprising of only 80 soldiers and officers .It is wherein ,on that fateful night over 179 Pakistani soldiers were killed or wounded and 37 Pakistani tanks were destroyed. 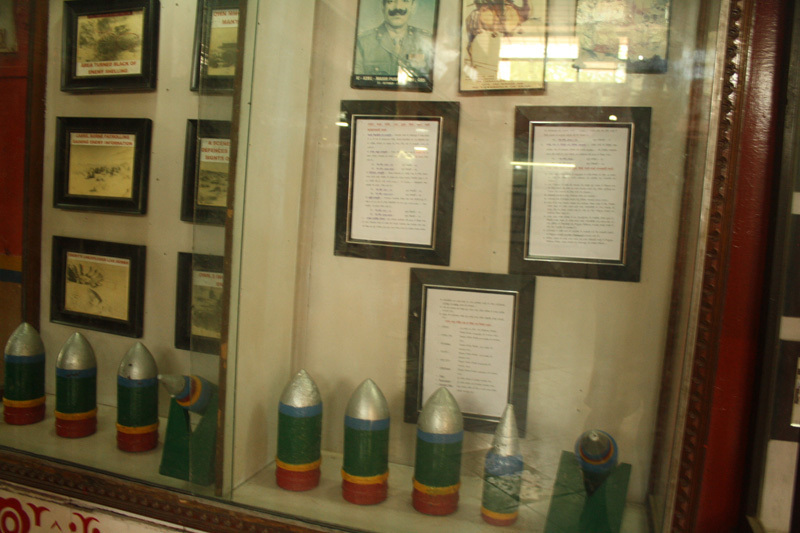 The war memorial also has a state-of-the-art audio visual theater for screening the movies on the battle of Longewala which also includes an interview with Major (Retd) Kuldip Singh Chandpuri, recipient of second highest war gallantry award , Maha Vir Chakra award who commanded the sector during Battle of Longewala. It was under his able leadership Pakistani thrust was defeated .The short film can be watched for a nominal fee of Rs 25 . 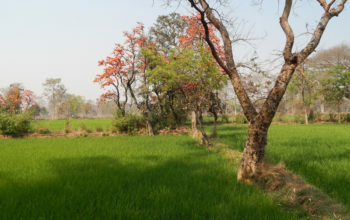 We then moved towards the bunkers area near to the war museum and happily clicked few pictures as memories of our trip . 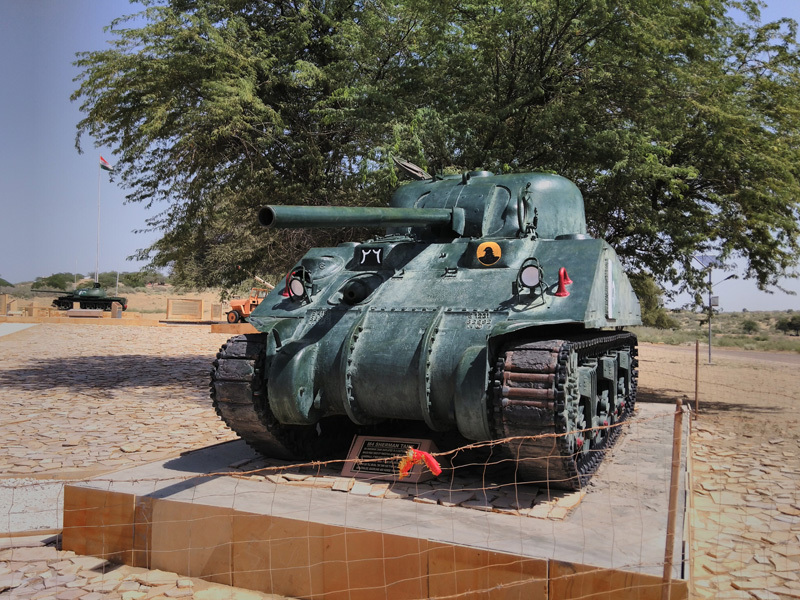 after trolling for around 2 hours in and around the war Memorial ,we left Longewala via Sadewala village towards Tanot Mata Mandir .The distance to reach Tanot temple is around 80 kms away and the drive took us an hour to reach Tanot Mata temple . Then, the Sun overhead was at its full afternoon glory and temperature must have peaked more than 40 degrees . 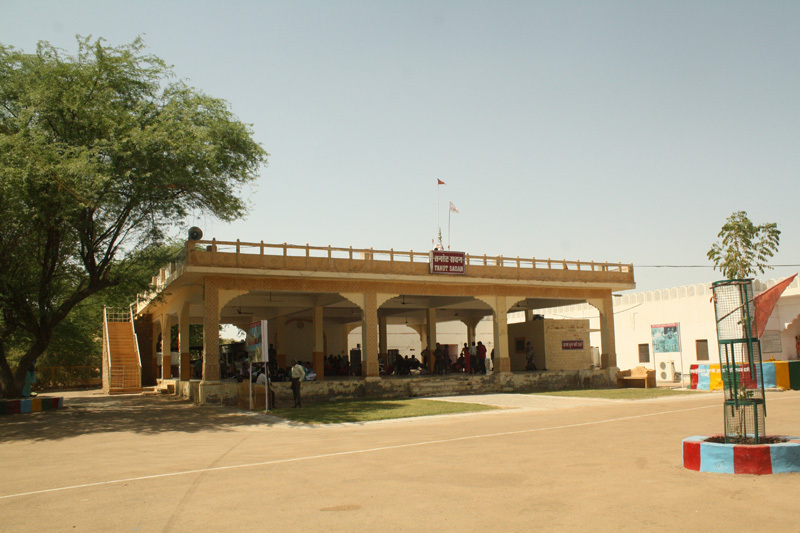 Tanot Mata Temple is a historical temple at the Longewala border and its deity Tanot Mata is believed to be the incarnation of Goddess Hinglaz. 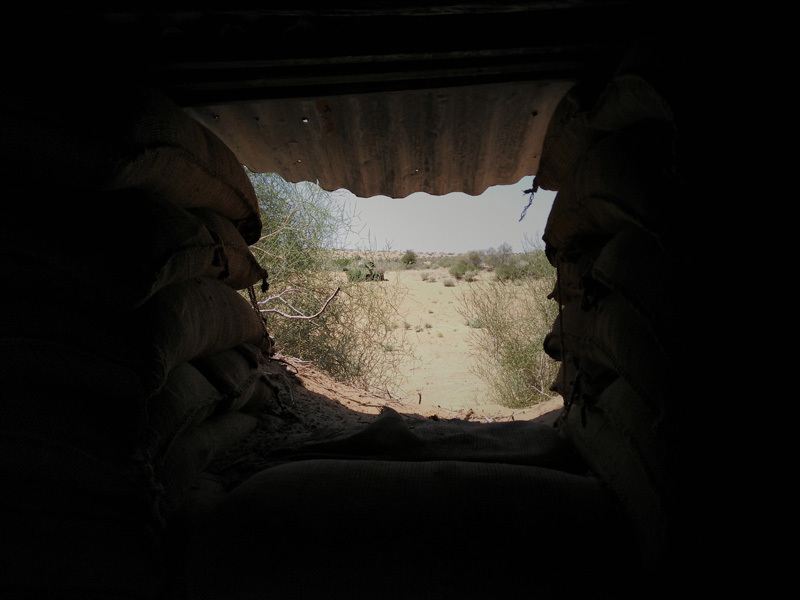 The Village is close to the border with Pakistan and is very close to the battle site of Longewala . The Temple has many legends associated . One of them is from the 1965 Indo-Pak war . During the war, Pakistani Army dropped more than 3000 bombs targeting this temple but not even one exploded near its vicinity . In the vicinity ,the village succumbed to the severe bombarding but the temple survived ,without a scratch .None of those bombs could explode. These are now on display at the temple peripheral complex. After the war was over ,the management of the temple was handed over to Border Security Force of India, on their request .This is the place where spiritual strength of BSF and its un-wearing commitment to safeguard the mother land was seen side by side. Twice in a year i.e. in April and Sept Navratri is celebrated at Tanot where free lunger is run by BSF as well as free Medical camp. Thousands of devotees from every nook and corner of the country throng the temple to offer their prayer to goddess. The temple premises has got modernized recently and it now also has an full fledged canteen facility open for public to have refreshments . 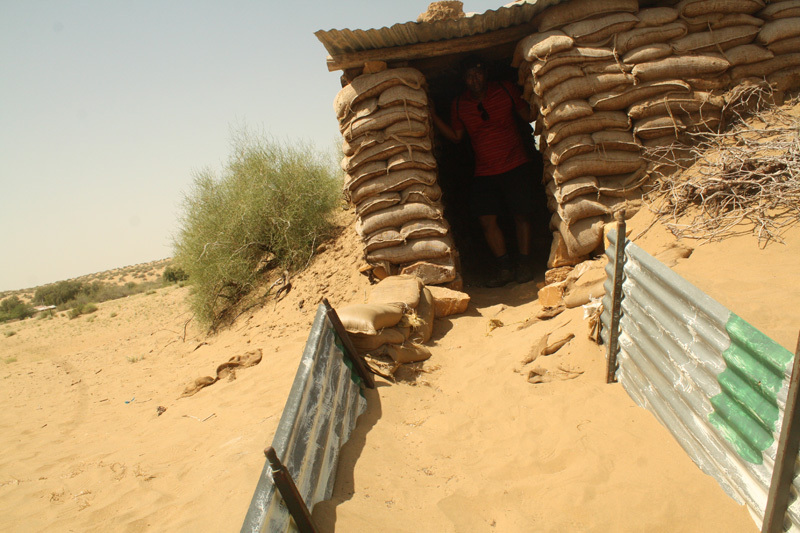 The best time to visit Longewala is between the months of November and January when the temperature is low . Longewala is well connected with superb roadways and airways. The nearest domestic airport is at Jaisalmer which is at 124 kms from Longewala. Jaisalmer also serves as the last stop for the western Railways. From there you will need to either Hire a Private vehicle or will have to rely on your vehicle. Below are few of the map distance that may help you in planning your trip to Longewala border post. 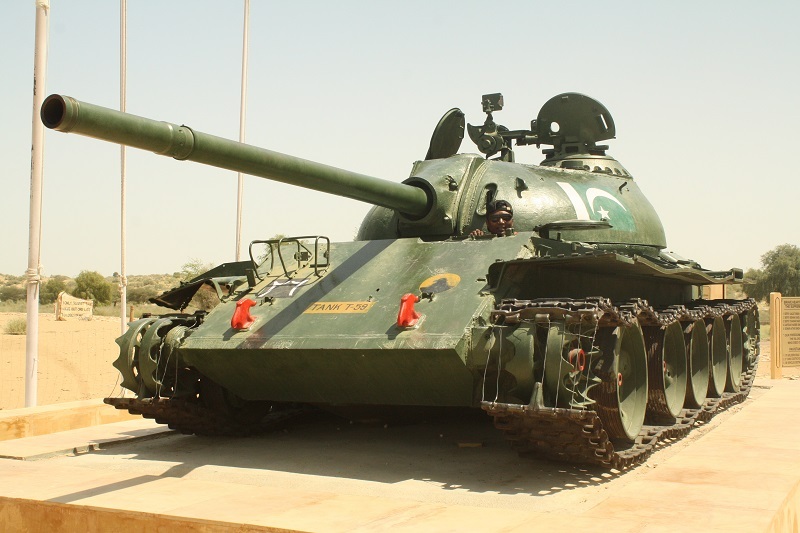 Longewala is a Border outpost on the Indo-Pak International border. So entry is very restrictive to both the Longewala and Tanot Mata Temple, so there are no commercial building s or hotels near these place. 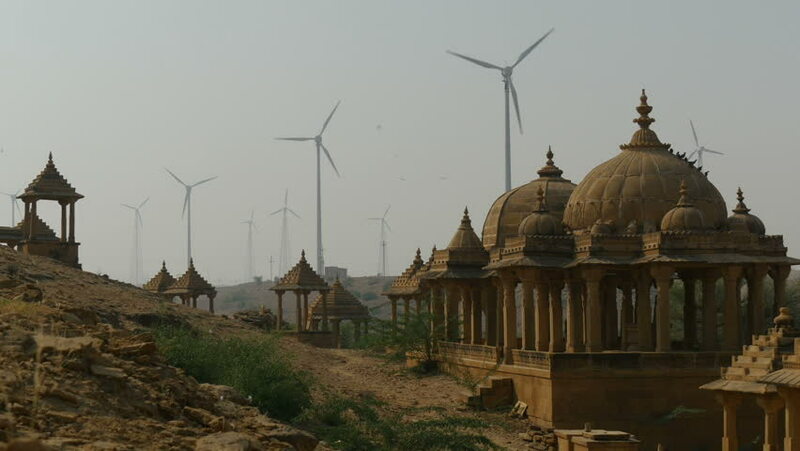 You will only get hotel accommodation in Jaisalmer city. 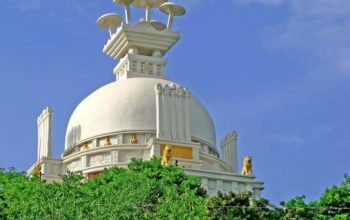 You may search for best deals and hotels in Jaisalmer on Booking.com . 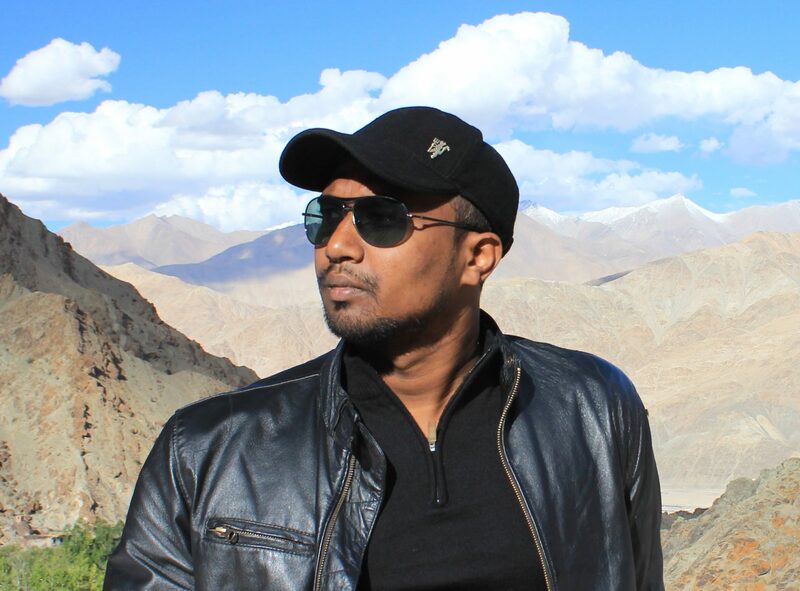 Awesome blog. One of the best I have come around in a long time. This blog contains details of the spot place, restaurants to eat and relax, where to stay, how to time your trip, what to do in night, etc. This blog has an essence of patriotic feeling which will keep the readers driving and tempt them to visit this place. A place which is associated with the valour of our living soldiers and the great martyrs because of whom the wheels of democracy and freedom is running in our country. The pictures taken and displayed are very descriptive and cleverly taken. 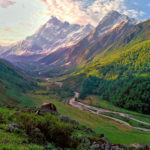 This pictures give a sense of what to expect on visiting the place and a reader will already start associating himself when he is half way through this blog post. I will give a big thumbs up to the writer for getting all the varieties of pictures, words, facts, together and composed it.